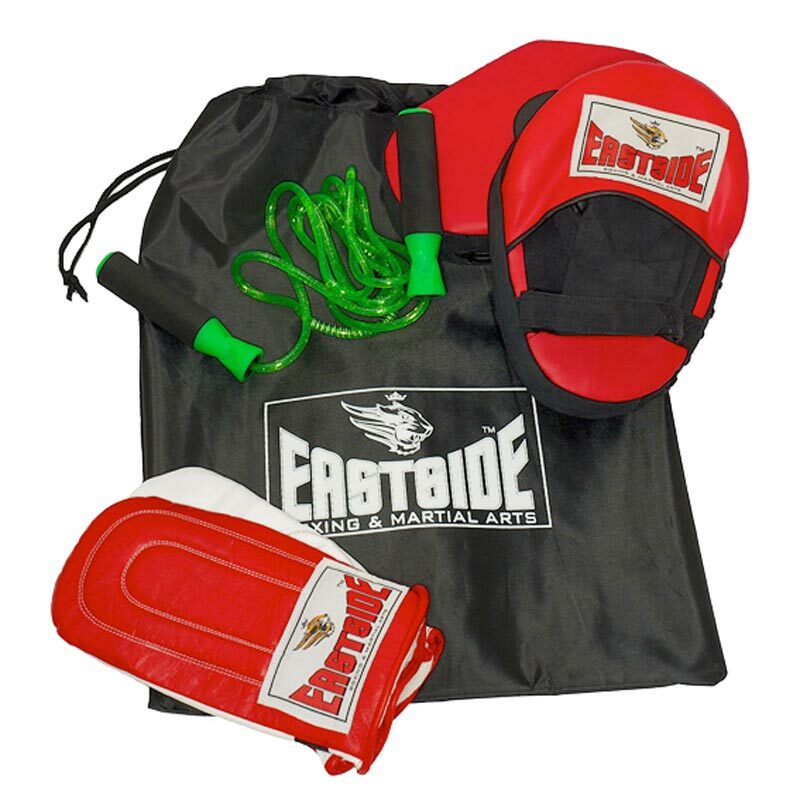 The Eastside Performance Combo Boxing Set is a tough, performance tested brand of boxing equipment that offers fantastic value for money. Ideal for group sparring sessions. 1 x Pro Performance Bag Mitt. 1 x Active Straight Hook & Jab Pads. 1 x PVC Skipping Rope. 1 x Drawstring Kit Bag.